Find hotel near Karensminde Agricultural .. Step into another era by visiting the Karensminde Agricultural Museum. Situated around 20 minutes drive from Billund, visit the place and see how farm work was done back in the 18th and 19th centuries. Lend a hand for harvesting the crops, dig up potatoes and help milk cows! Food is cooked in the agricultural museum on traditional wooden stoves. How popular is Karensminde Agricultural Museum? 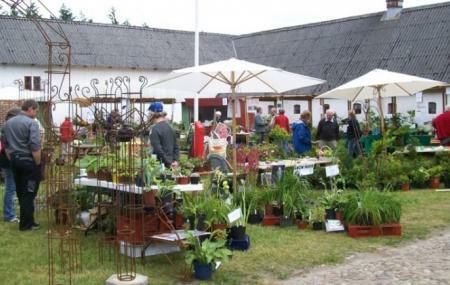 People normally club together Huset Olhom and Rosendal Kunsthandel while planning their visit to Karensminde Agricultural Museum. Hyggeligt sted, var der med børnene, primært for at se Theo og den magiske talisman udstillingen. Fint - mine børnebørn var glade for at se udstillingen om Theo og den magiske talisman og der efter alle dyrene.